Odisha History can be traced back to the Prehistoric Period , with the development of Civilization in the Ancient History of Odisha. 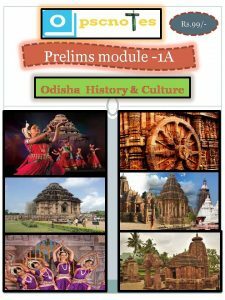 We have Bifurcated the History of Odisha into four sections for the systematic study for OPSC Exam by our students. Hope you must have Liked the detailed Notes for OPSC Preparation by Odisha PSC Notes expert team. Free notes for OPSC can be browsed on OPSCnotes.